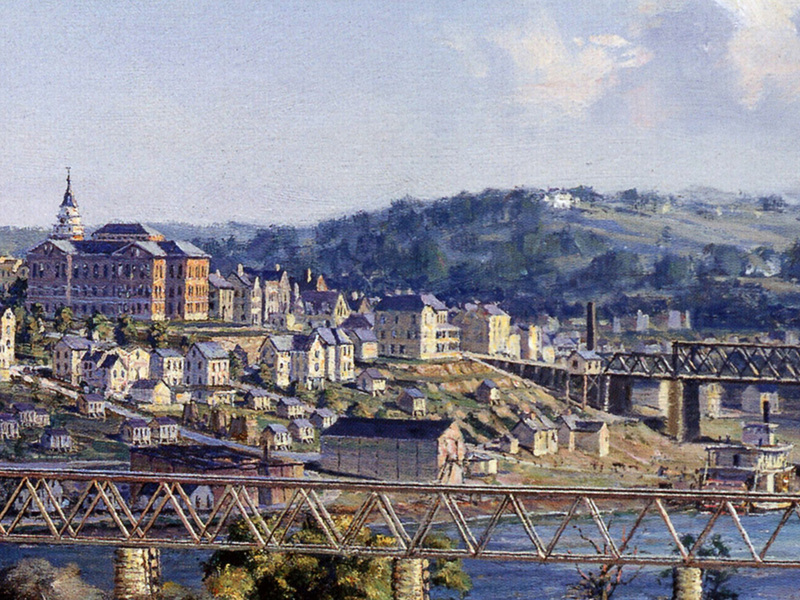 Known to be the first “planned city” in the west, Knoxville was initially settled by General James White in 1786. The General had a fort built below the junction of the Holston and French Borad Rivers to protect his family from attacks by the Cherokee Indians who still claimed the section he had purchased from North Carolina in 1783 as theirs. 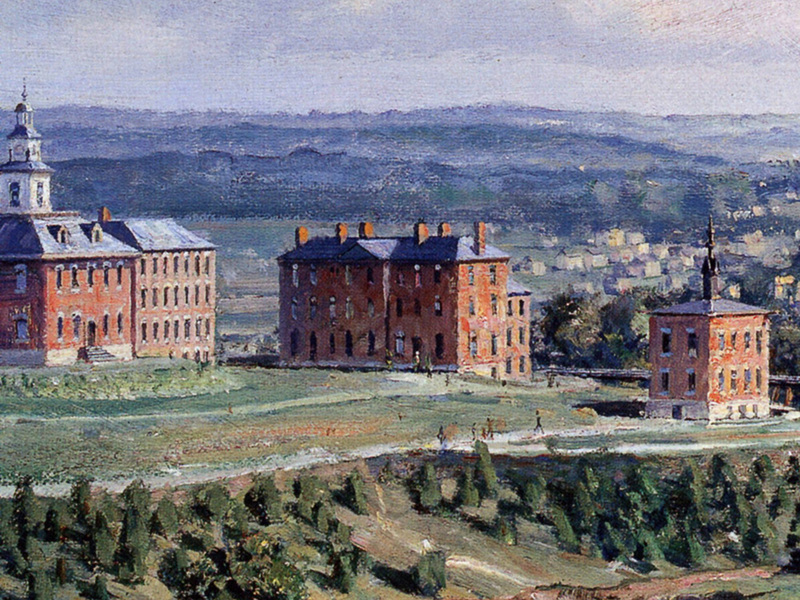 In 1790, President George Washington appointed William Blount as Governor of all the United States territory below the Ohio River and Governor Blount selected White’s Fort as the capital. 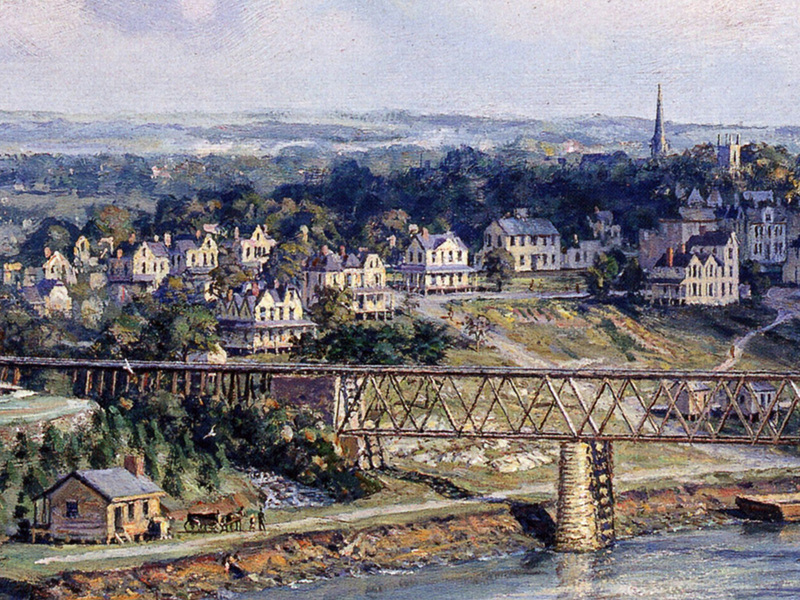 Named for Henry Knox, Secretary of War in George Washington’s cabinet, the town of Knoxville was organized in 1791 after a treaty had been signed in which the Cherokees ceded the tract of land which includes present day Knox County and Knoxville to the United States Government. 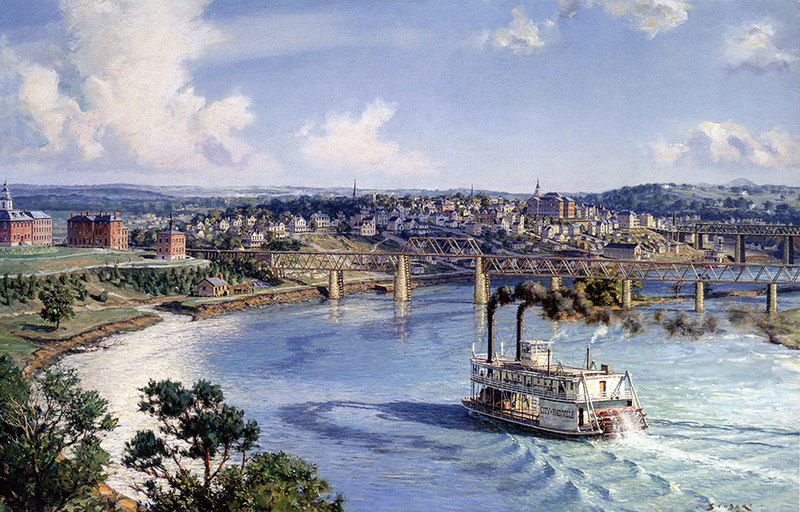 By 1891, Knoxville had grown into a major river port terminal at the head of navigation on the Tennessee River. Utilizing specially designed hits that were constructed and launched above the rapids at Chattanooga facilitated this development. 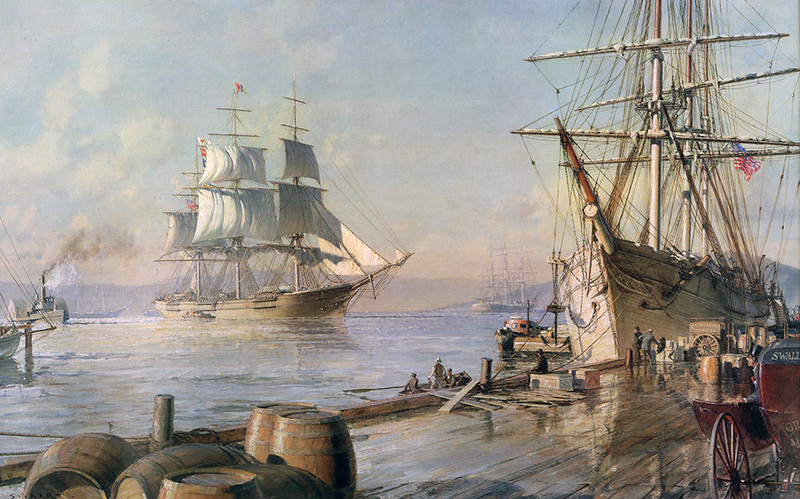 Prior to this, navigation had long been restricted to only flatboats which were simply floating boxes of produce that were drifted and manhandled downstream with sweeps. 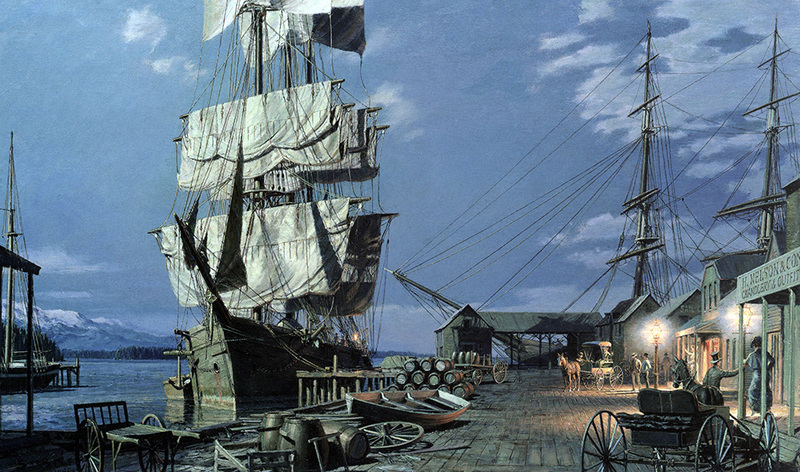 After the journey they were broken up and sold as lumber. 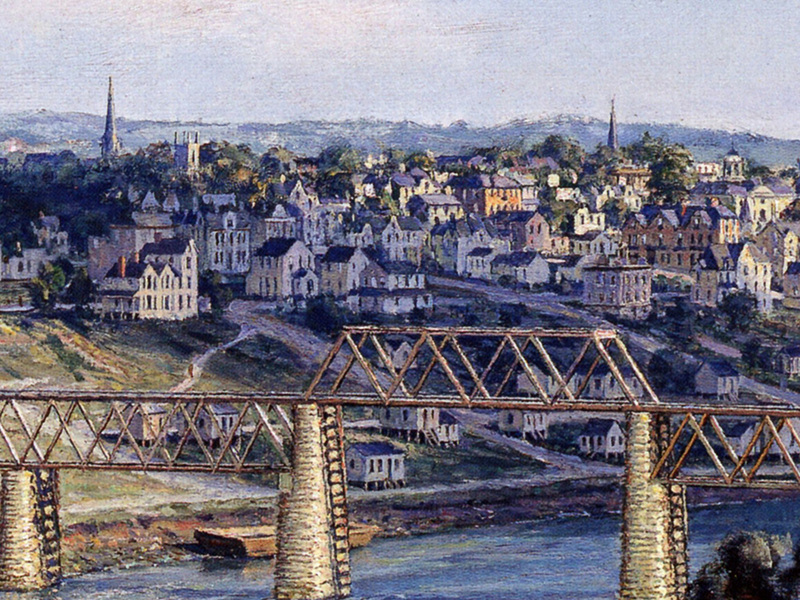 The moods of the Tennessee River, which was so often and unpredictably ravaged by floods emanating from the mountains of Appalachia to the northeast, have, since those earlier times been tamed by constant improvement under the custody of the Tennessee Valley Authority. These improvements have had an enormous impact on the stability of all the waterways of the region. 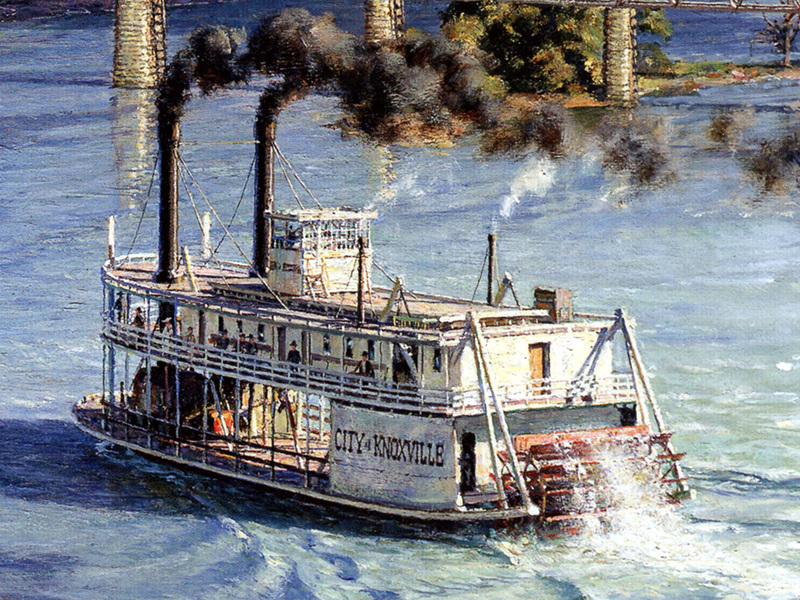 One of a fleet of vessels of similar size, the 140 foot long “City of Knoxville” initially employed in the freight business, later became an excursion boat. 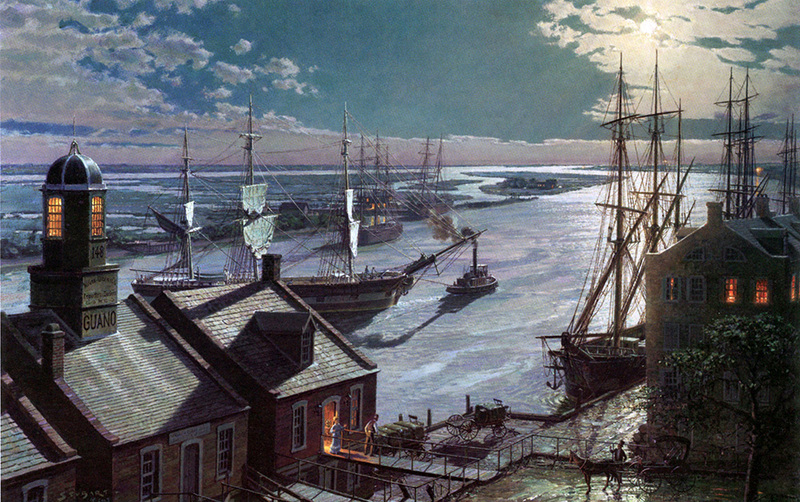 It often appeared in old daguerreotypes with both decks crowded with day- trippers enjoying the scenic delights of the spectacular new 250-mile extension of navigable waterway.